Friends of the Ballard Locks: Who Was Hiram? Welcome to the Hiram M. Chittenden Locks! As one of the top 3 tourist sites in Seattle the Locks and adjacent Carl S. English, Jr. Botanical Garden are enjoyed year round by visitors and locals alike. But who was Chittenden? A local politician? Some rich “bigwig”? No. Hiram Martin Chittenden, born on a farm in Yorkshire, NY in 1858, was an excellent student and attended Cornell University briefly before transferring to the U.S. Military Academy at West Point, graduating in 1884. He returned home to Yorkshire to marry his high school sweetheart Nettie Parker and waited to start his 3 years of training at the Engineer School of Application in New York City. During this three-month break he studied law with a local attorney, then passed the bar exam and was licensed to practice law in NY state- without ever having attended law school. His first assignments focused on improvements on the Missouri River system, surveying areas for placement of reservoirs, dams and other flood control installations. He served for a time on the Board of Commissioners for Yosemite and in 1891 he received his first posting to Yellowstone, that huge patch of wilderness that had been made America’s first national park in 1872; Congress had now provided funding to start improvements in the park. Chittenden was then assigned to projects in Kentucky and Ohio and in 1899 he was returned to Yellowstone to develop a road system; the roads that today lead visitors from one scenic vista to another are the result of Chittenden’s design. 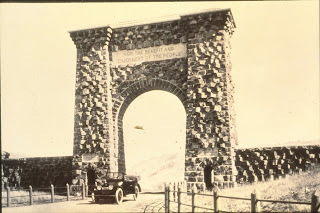 Believing that the North entrance to the Park at Gardiner was “the least interesting of any part of the Park” he designed the stone arch that remains a Yellowstone icon to this day. The single concrete arch bridge he designed to span the Yellowstone River was replaced in 1962 and named the Chittenden Memorial Bridge. He was a prodigious writer, keeping diaries and journals his entire life. 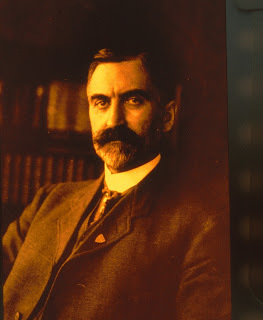 His first book “The Yellowstone National Park: Historical and Descriptive” published in 1895, was developed from his daily notes of working there. He went on to write “The American Fur Trade of the Far West” in 1902, it remains the authoritative text of that era. More books followed as well as numerous papers, reports and published articles. In 1906 Chittenden was assigned to the Seattle District. For 50 years the local populace had been debating the location of a canal to connect the freshwater lakes Union and Washington with Puget Sound to facilitate the movement of timber and coal resources to the docks in Elliott Bay. Although appearing robust, he was actually in failing health and feeling that Seattle would be his last posting prior to retirement he was determined to make it a success. He met with the various warring factions and was able to gain a consensus among them that the route through Salmon Bay was the best choice. Elimination of the second lock at Montlake reduced the budget and Congress funded the project in 1910. 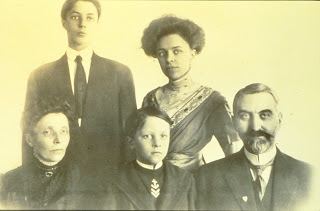 During his tours of duty his wife Nettie and the children Eleanor, Hiram Jr. and Teddy remained in the family home in St. Louis. Chittenden wrote to the children often with tales of his work experiences and urged them to do well in their studies. When he was home he helped them with their homework, went shopping for their first bicycles and took great enjoyment from his family. When they settled in Seattle he and Nettie entertained often, played cards with friends, and attended local opera and theater productions. His younger brother and his wife moved to Seattle and there were many large family gatherings. Yellowstone remained a favorite vacation destination and the family returned there numerous times. He retired as a Brigadier General in 1909 and remained in Seattle where he was active in local politics and served as first president of the Port Commission. Too ill to attend the dedication of the Locks on July 4, 1917, he died October 4, 1917. Chittenden is responsible for the placement of the Locks at the west end of the channel thereby making Salmon Bay a freshwater harbor, the change from wood to concrete as the construction material, and the addition of the smaller lock to conserve water. He developed the salt water intrusion drain system to prevent salt water from migrating upstream and his proposal to divert the Cedar River into Lake Washington provides the necessary flow for the operation of the lock system. In 1956 the name of the Government Locks was officially changed to the Hiram M. Chittenden Locks in honor of his vision and achievement. The American Society of Civil Engineers designated the Chittenden Locks as a National Historic Engineering Landmark in 1997. Hiram Chittenden was a successful Army officer, a skilled engineer, a published writer, family man, and above all- a dedicated public servant.